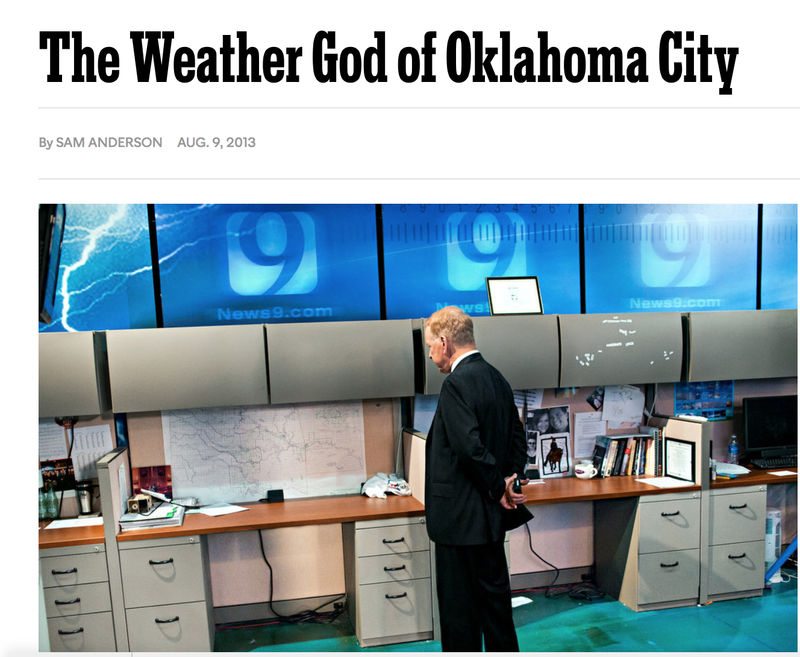 Gary England is Oklahoma's legendary meteorologist. When he retired in 2013, the New York Times ran a feature-length article about him and his career (headline above). 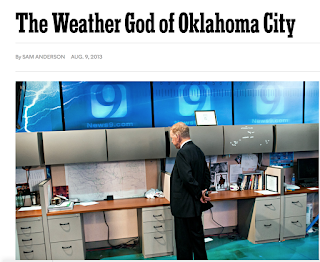 He has saved countless lives with his storm warnings and pioneering technology for reporting on storms. That is why I am so pleased to report that he recently read Warnings: The True Story of How Science Tamed the Weather and his review is below. A splendid book. The author takes you through great presentations of real life major emergencies, from tornadoes and hurricanes to the rise of meteorology. Mr. Smith allows you to join the events to the point where you actually become a part of history as he was. As a highly acclaimed well-known meteorologist and scientist, Smith softly and intricately weaves in the science of storms and the necessary growth of meteorology into an easily readable and exciting adventure. One of many highlights is his personal involvement with the Delta 191 crash at Dallas, which was brought down by a microburst. He takes you from the crash, the crash's causes, and the following court battle. I must say, I highly recommend this book. It is a diamond!